Watch a plain slab of clay become an instant work of art when you roll out a continuous design using Amaco Clay Texture Rollers. 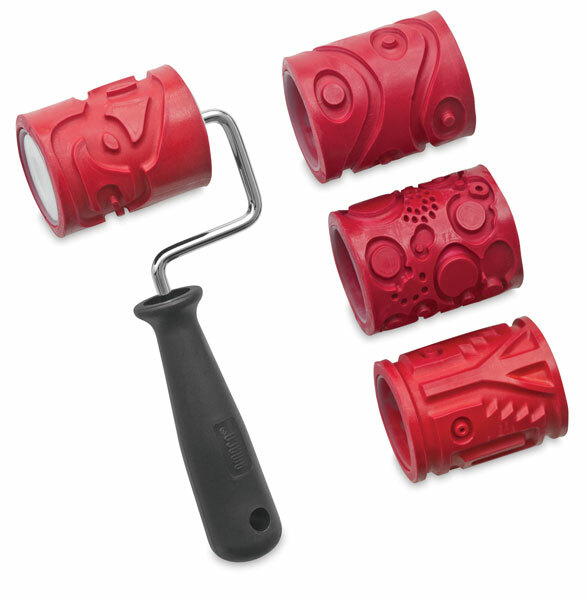 This set contains one handle and four roller sleeves, including one each of Waves, Circles, Chain, and Pre-Columbian. The sleeves measure 2½" (6.4 cm) wide.